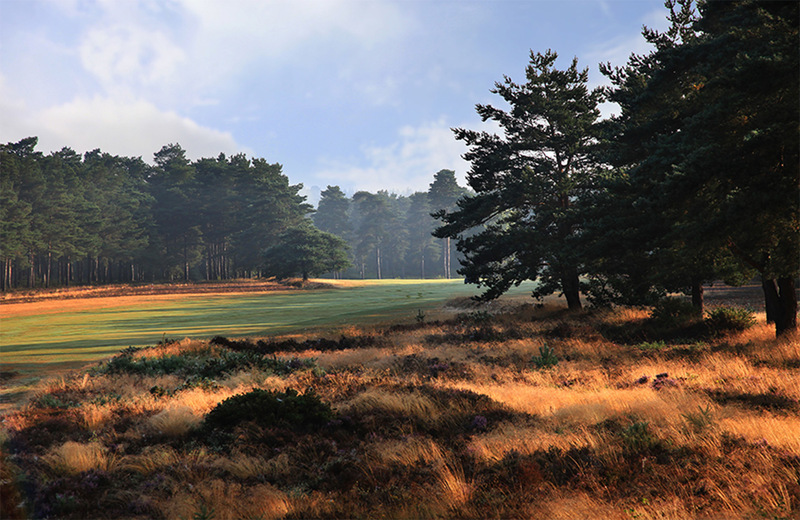 Hankley Common Golf Club was first opened for play over nine holes in 1897 (see history ). In 1922 James Braid advised on the addition of a further nine holes. Bobby Locke described the course as the closest resemblance to a seaside links and the famous course architect, Charles Lawrie, once described the course as " one of the best inland layouts in Britain ". Pond behind the 17th green. and the hole, the player may take relief. relief must be taken in accordance with Rule 24-2b. the handle adjacent to but inside the edge of the bunker. to be taken between greenside bunkers and the adjacent green. On sprinkler heads in Yards - To the Centre of the Green. 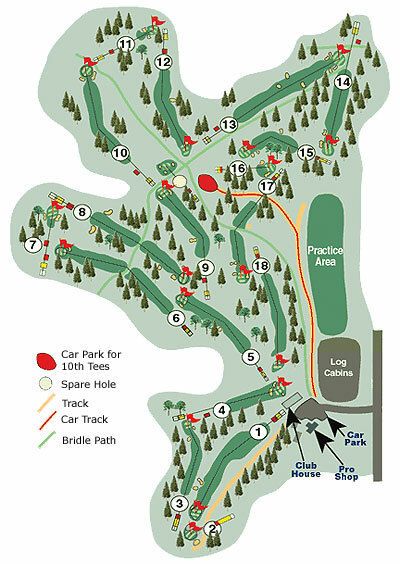 Green Staff and the public on paths, have priority on the course. The ball must not be played when they are in range.